Administrative Law Judge (ALJ) Susan Ruff, Office of Administrative Hearings (OAH), State of California, heard this matter in Laguna Hills, California, on August 18, 19, 20 and 24, 2009. Tania Whiteleather, Esq., represented Student and his parents (Student). Advocate Christopher Russell also appeared on behalf of the parents for most of the hearing. Student’s parents were present during the hearing. Student was not present. Sundee Johnson, Esq., represented the Irvine Unified School District (District). Mary Bevernick, Director of Special Education, also appeared on behalf of the District. 1 To maintain a clear record, the closing briefs have been marked as exhibits. Student’s written closing argument has been marked as Exhibit S-80 and the District’s written closing argument has been marked as Exhibit D-29. 1. Student is a 16-year-old who lives within the jurisdiction of the District.3 He has type one diabetes and has been insulin dependent for most of his life. He has not been found eligible for special education and related services. 2. Student has a history of tardiness and absences from school, as well as a history of failing to complete homework and long term assignments. He has failed most of his academic classes during high school. The parties dispute the extent to which Student’s poor school performance results from Student’s diabetes and whether the District should have found Student eligible for special education under the category of “other health impairment” (OHI) based on his diabetes. The parties also dispute the effect of a settlement agreement in a prior OAH case on the current proceeding. 3. A pupil is eligible for special education and related services under the category of OHI when the pupil has limited strength, vitality or alertness due to a chronic or acute health problem such as diabetes which adversely affects the pupil’s educational performance. A school district has an obligation to seek out children who may be eligible for special education within its jurisdiction. That obligation is sometimes referred to as “child find.” In order to determine whether the District met its child find obligation, it is necessary to examine the information possessed by the District at the times relevant to this case. 2 Student’s amended due process complaint contained other issues, but at the telephonic prehearing conference in this matter, OAH granted Student’s request to bifurcate the issue of child find/eligibility from the remaining issues and have that issue heard first. This Decision addresses solely the bifurcated issue of child find/eligibility. During the hearing, the parties stipulated that Student’s amended due process request could be further amended to address the child find/eligibility issue up through and including the last day of hearing, rather than just the date of filing of Student’s amended due process request. 3 At the time of the hearing, Student was 15 years old. During the 2008 – 2009 school year, Student was in the 10th grade. 4 As discussed in Legal Conclusions 5 – 16 below, the settlement agreement bars Student from raising any claims based on conduct which occurred prior to the date of the agreement (July 28, 2008). Therefore, the events leading up to the settlement agreement are included in these Factual Findings solely as they relate to the knowledge possessed by the District and the actions the District took after the date of the agreement. 4. In March 2008, when Student was in the ninth grade, the District conducted a psychoeducational assessment of Student to determine if he was eligible for special education. At the time, Student had failed most of his academic classes during the first semester and was failing most of his academic classes for the second semester. The assessment noted a long history of absences, tardiness, and failure to complete work throughout Student’s elementary school and middle school years. Various general education interventions had been attempted over the years, including a “Guided Studies” program and an “Extended Learning” program when Student was in middle school. 5. During the March 2008 assessment, school psychologist AnnMarie Simmons tested Student’s cognitive ability using the Wechsler Intelligence Scales for Children – Fourth Edition (WISC-IV). Student’s scores ranged from the average to very superior range. The report concluded that Student’s overall cognitive ability was in the superior range. 6. On the Woodcock Johnson III Tests of Academic Achievement, Student scored in the above average range in almost every area except writing fluency. The assessment report also noted that Student’s scores on the California standardized testing over the years had predominantly been in the proficient range. 7. The assessors administered the Behavior Assessment System for Children- Second Edition (BASC-2) to evaluate Student’s behavior and social skills. Student’s mother and Student completed the rating scales included in the BASC-2. Based on those responses, the assessors determined that Student was well adjusted in all areas. 8. The District staff did not speak with Student’s physician at the time of the March 2008 assessment report. The evidence is conflicting as to whether the District staff had permission to speak with the physician to see if Student had limited vitality, alertness or strength due to his diabetes. According to the assessment report, the District was unable to obtain permission from Student’s parents. However, the school nurse acknowledged during her testimony that she had a release from the parents to speak with the physician during her initial assessment but chose not to do so. Without physician input, and based on the results of the testing, the District assessors saw no reason that Student needed special education. Instead, the report indicated that Student’s failing grades were mostly due to his failure to participate in class, study for tests and turn in homework assignments. 10. During the meeting, Student’s parents agreed to let the District personnel speak with Student’s doctor, Alan Cortez. They arranged for a telephone conference call with the doctor, the school nurse, the school psychologist and Student’s mother. That conversation was held on April 24, 2008. Although the parties do not completely agree on what was said during that telephone conversation, it appears that Dr. Cortez’s opinions about Student’s condition at the time were very similar to his opinions given during his testimony at the hearing. 11. Cortez is a pediatric endocrinologist who has been Student’s physician since approximately 2000. He sees Student for office visits approximately every three to four months. 12. During his testimony, Cortez explained that type one diabetes invariably affects every aspect of the life of an individual who has it. A diabetic person’s blood sugar levels will fluctuate throughout the day. When the individual has high blood sugar, the diabetic individual can suffer from headaches, irritability, and have difficulty concentrating. When the blood sugar is low, it can lead to weakness, tiredness, and difficulty with communication. If the sugar level is high or low, it can take 15 to 30 minutes or more for interventions to bring the person’s blood sugar level to a more normal level of functioning. 13. When a teenager has diabetes, there may be additional difficulties, because the rapid physical growth and changes due to puberty can require adjustments in the amount of insulin. A physician is always playing “catch-up” to make certain the medication meets the teenager’s needs. 14. In Cortez’s opinion, diabetes can affect a child’s ability to complete homework, because when blood sugar is high, concentration can go down. It does not excuse a child from doing homework, but it must be taken into consideration. It can also make a person miss school or come to school late, because blood sugar can be out of balance in the morning, and it may take time to bring it to a more normal level. 15. Each individual with diabetes reacts to the condition differently. Cortez believes that Student reacts more strongly to his physical symptoms of high or low blood sugars than other diabetic individuals. During the telephone conversation with the District, Cortez agreed that every effort should be made to get Student to go to school, even if Student was not feeling well. 16. During his testimony, Cortez was hesitant to give a definitive opinion as to whether Student’s diabetes caused his tardiness, absences from school and failure to complete work. He explained that he had never observed Student at school and relied on the reports from Student and his parents as to Student’s problems during the school day. He could not say that the diabetes was a direct cause of every tardy or absence by Student. He also acknowledged that it was difficult to separate physical and psychological causes for Student’s behavior. Student has psychological issues that affect his school performance. 17. However, Cortez believed that diabetes was an underlying cause for both Student’s physical and psychological issues. Even though it was not an “A causes B” relationship between the diabetes and school problems, he believes there is unquestionably a connection between them. In his opinion, the diabetes affected Student’s vitality, alertness and strength, and the diabetes contributed to Student’s poor school performance. He opined that the diabetes, while not the sole cause, was an important cause of Student’s problems at school. 18. After the April 24, 2008 telephone conference with Cortez, the District did not change its position on Student’s ineligibility for special education. At hearing, the District witnesses explained that they did not find Cortez’s opinion sufficient to show Student was eligible. If Cortez had told them that the diabetes caused Student’s school problems, they might have found eligibility, but Cortez did not say that. Instead, they understood Cortez to state that Student should be in school, even if he did not feel completely well. The District team members felt that they should try other interventions first to see how those worked, rather than find him eligible for special education. 20. These general education interventions were unsuccessful and Student continued to fail his classes. 21. In approximately July 2008, Student’s parents obtained an independent psychoeducational evaluation from Perry Passaro, Ph.D. Passaro is both a licensed clinical psychologist and a licensed educational psychologist. He has worked for various school districts and the United States Department of Education. He has taught college classes relating to psychology and published numerous papers in the field. In addition to the effects of his medical condition and non-intentional symptoms [Student] may be intentionally avoiding school and school work, through exaggerated symptoms, for secondary gain. [Student’s] parents may be inadvertently rewarding avoidant behavior due to their significant concerns regarding their son’s medical condition…however the presence of psychological factors should not be employed as a reason to delay or deny further educational interventions for [Student]. In fact it is certainly possible that [Student’s] avoidance is due, at least in part, to the education challenges that have results (sic) from medical condition. This possibility should be considered by the IEP team. 5 The counsel representing Student in April and May 2008 (and at the time of the July 2008 settlement discussed in Factual Findings 24 – 28 below) was different than Student’s current counsel. 23. Passaro recommended educational interventions for Student, including a “level of monitoring” that goes “beyond that provided by 504 plans.” He recommended that the IEP team consider “special education eligibility (with goals and objectives for school attendance and task completion…).” His other recommended interventions included, but were not limited to, counseling for Student and a behavior support plan to reduce avoidance behavior. His report concluded that Student should be found eligible for special education under the OHI category. 24. 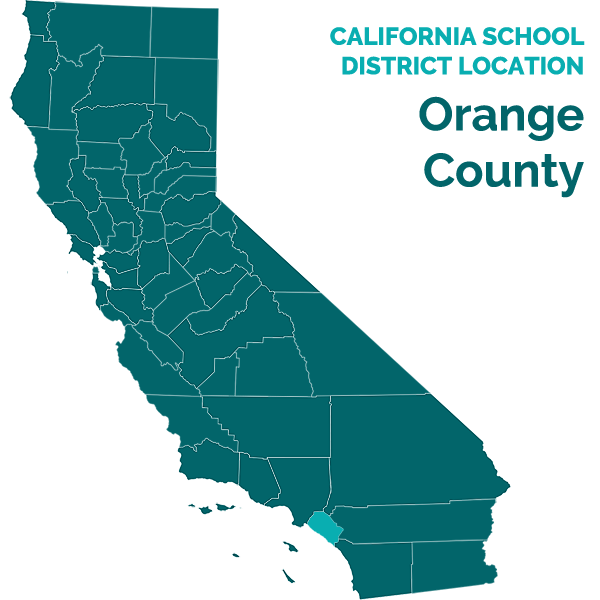 Student’s parents filed a request for a due process hearing challenging the District’s eligibility determination in OAH case number 2008050679. 25. On July 28, 2008, the parties entered into a settlement agreement in OAH case number 2008050679. Under the terms of that agreement, the parties agreed to develop a plan for Student pursuant to Section 504 of the Rehabilitation Act of 1973 (504 plan). The parties also agreed that Student’s educational program for the 2008 – 2009 school year would include one period per semester of directed studies, “push-in” resource specialist program (RSP) services on a daily basis in English, History, Science and Math,6 and counseling two times per month for 30 minutes each session. The parties agreed that Student would receive the following accommodations: preferential seating, extended time for assignments and tests, tests taken in the RSP room if desired, weekly progress reports sent home, and that the District personnel would “check for understanding of directions during tests….” The parties also agreed that Student would not be penalized for any excused absences. 6 Push-in services generally refer to sessions in which a special educator works with the pupil in the classroom, rather than pulling the pupil out of class to a different room to receive the service. 29. The parties met in approximately September 2008 to formulate the 504 plan called for in the settlement agreement. The plan called for several accommodations, including but not limited to: access to preferential seating, no penalization for excused absences, ability to take tests in the RSP room if requested, teachers checking for understanding of directions before and/or during tests, and other accommodations agreed upon in the settlement agreement, as discussed in Factual Finding 25 above. 30. The evidence at hearing established that the District failed to provide some of the accommodations in the 504 plan to Student. For example, Student’s algebra teacher and the school nurse testified that preferential seating was not given to Student in class. 31. The evidence also established that Student failed to take advantage of some of the accommodations in the plan. For example, he never asked to take tests in the RSP room. During the hearing, Passaro explained that Student’s psychological issues would affect his willingness to access services. 32. At hearing, both district employees and Passaro agreed that the 504 plan was not successful. Student continued to fail academic classes after the 504 plan went into effect. He also continued his pattern of tardiness and absences, as well as his failure to complete homework. 33. The evidence was inconclusive as to what extent the District staff monitored the 504 plan to see if it met Student’s needs and was being followed. Jennifer Carrington, the District staff person responsible for oversight of the 504 plan, did not testify at the hearing. No District witness testified as to any attempts to reevaluate the 504 plan or to hold additional meetings once it was clear the plan was not successful. School psychologist AnnMarie Simmons testified that she had no further contact with Student or his family after the creation of the 504 plan. Simmons did not monitor the plan and did not know if it was successful for Student. 34. Despite his classroom failure, Student passed both the English-language arts and mathematics portions of the California High School Exit Examination during his 10th grade year. 35. On January 22, 2009, and February 23, 2009, the District noticed a School Attendance Review Board (SARB) meeting to discuss Student’s “habitual truancy.” The SARB meeting was held on March 4, 2009. As a result of that SARB meeting, the SARB Board proposed an agreement which the parents declined to sign. 36. Because Student failed so many classes in his Freshman and Sophomore years of high school, he was in danger of not having enough credits to graduate on time. The District determined that it would be necessary to enroll Student at Creekside High School (Creekside). Creekside is not a comprehensive high school; instead it is designed for pupils who need to make up high school credits. 37. Student’s parents initially agreed to the transfer from Northwood High School, a comprehensive high school, to Creekside. However, on May 1, 2009, they sent an email to the District retracting their consent, explaining that they had agreed to the transfer only because they believed the District had threatened them with a referral to the District Attorney. The District replied with an email explaining that Student had been disenrolled from his placement at Northwood. 38. Student was supposed to start at Creekside on May 4, 2009. Student’s parents did not send Student to Creekside. In response, the District referred the parents to the District Attorney’s office for possible prosecution. 39. On May 1, 2009, Student’s parents filed the current due process case. They filed their amended due process request on June 12, 2009. 40. In June 2009, Student’s parents asked Passaro to conduct another psychoeducational assessment of Student. He did so and prepared a report dated July 15, 2009. Among other things, he found that “The combination of poor sleep, and subsequent reluctance to attend school, lethargy when at school and when doing school and homework required and continues to require special education services, primarily accommodations and modifications.” He opined that the psychological components of Student’s underachievement had increased since his last assessment, and “…now appear to involve opposition, and refusal.” He concluded that Student met the criteria for eligibility for special education and related services under the category of OHI. He also indicated that Student had a mood disorder. During the hearing, he explained that he thought Student should have a behavior support plan to gradually shape his behaviors to increase compliance and decrease avoidance behaviors. 41. On August 7, 2009, after receiving Passaro’s July 2009 report, the District’s counsel faxed a letter to Student’s counsel along with an assessment plan. The District believed that a new assessment was warranted because Passaro’s report raised possible psychological issues for Student, including a possible mood disorder and oppositional defiant disorder. That assessment offer was still pending at the time of this hearing. Did Student’s Diabetes Adversely Affect His Educational Performance? 42. The evidence supports a finding that Student suffered from limited strength, vitality and alertness due to his diabetes. Although Cortez’s testimony was equivocal in some respects, he was certain on that point. 43. The evidence also supports a finding that the diabetes affected Student’s educational performance. Cortez was unwilling to state that diabetes was the sole cause of Student’s problems, but he did testify that it was the underlying cause of Student’s physical and psychological issues. 44. The District presented no testimony by a medical doctor to dispute Cortez’s opinions. Instead, the District relied upon the testimony of AnnMarie Simmons, the school psychologist who helped assess Student and attended his IEP and 504 plan meetings. Simmons testified that she did not believe Student’s diabetes interfered with his ability to learn. She based her opinion on Student’s good scores on the academic achievement tests during the assessment and his history of good scores on the California standards testing. She explained that she had no evidence that he could not come to school due to his diabetes. 45. In Simmons’ opinion, many teenage boys are not excited about school work, and that was the situation with Student. She felt that general education interventions would be sufficient to assist him with any problems he had. 46. While Simmons was a very credible and experienced witness, there were a few factors that weakened the persuasiveness of her opinion. On cross-examination, she admitted that if a child has diabetes that affects attendance and work completion, the child is eligible for special education, and the affect of the diabetes is usually determined by a doctor. She also admitted that she has not assessed Student since March 2008, and could not testify about his current needs in terms of special education. 47. Although Simmons is correct that there was a work-avoidance aspect to Student’s school problems, the evidence did not support a finding that the situation was as simple as a bright teenager who is bored with school work. Instead, Student’s problems with tardiness, absences and missed work are longstanding – they go back even to grade school. There was also evidence that health issues related to diabetes affected more than just school work. For example, at one point Student dropped out of soccer camp due to difficulty with keeping his blood sugar level under control. He was also dropped from little league baseball in approximately 2007 or 2008 because of similar problems to those he experienced in school. As both Passaro and Cortez indicated, Student’s psychological issues are complex and ultimately stem from his diabetes. 48. The District’s remaining witnesses, although credible in their testimony and experienced in their fields, were also unable to effectively dispute the opinions of Cortez and Passaro. Dona Knapper, the school nurse who assessed Student’s health on behalf of the District in 2008 and was part of his 504 team, testified that she could not determine if his blood sugar levels during the day affected his learning. Betsy Meehan, the RSP teacher who conducted the academic portion of his assessment, testified that she could not make a determination as to whether his diabetes was affecting his education. She explained that the District staff needed to speak with the doctor about the cause of his problems, but she was not involved with Student’s case after the conversation with the doctor occurred, so she could not comment on it. 49. Christopher Sharpe, Student’s algebra teacher, believed that lack of homework, not diabetes, was to blame for Student’s school problems. However, he admitted that his opinion was based on his experience as a teacher. He is not a doctor. 50. District Director of Special Education Mary Bevernick admitted that a diabetic pupil could be found eligible for special education under the eligibility category of OHI if the pupil exhibited limited strength, vitality and alertness, if the diabetes affected the pupil’s education, and if no other means could be found to remedy the situation. 51. The evidence supports a finding that Student had limited strength, vitality or alertness due to diabetes which adversely affected his educational performance. The evidence also supports a finding that the District attempted various interventions over the years to address the affect of his diabetes on his educational performance. The legal ramifications of those interventions and the legal ramifications of the parties’ July 28, 2008 settlement agreement will be discussed in the Legal Conclusions below. 5. The District contends that the terms of the settlement agreement bar any issue of child find/eligibility through the end of the 2008 – 2009 school year. Student disagrees. 6. There is no question that, by signing the settlement agreement, Student waived any claims that Student might have had based on the District’s actions prior to the date of the settlement agreement. As discussed in Factual Finding 27 above, the settlement agreement language is unambiguous as to the release of “any and all existing disputes” and a waiver of “any and all other claims to date under the IDEA” and other laws. Student concedes this point in Student’s written closing argument and agrees that the child find/eligibility issue should be limited to the time period after the creation and implementation of the 504 plan that was developed as a result of the settlement agreement. 8. Because this bifurcated portion of the case addresses only the child find/eligibility issue, the release of the obligation to provide other educational services and the release of any claim for compensatory education are not directly relevant to this portion of the case. The current issue is whether the third clause releasing procedural or substantive violations of IDEA “which may occur as a result of this Agreement” bars the child find/eligibility issue. 10. The critical issue in interpreting this settlement agreement is whether the phrase “or which may occur as a result of this Agreement” bars Student from arguing that the District’s failure to find Student eligible under OHI was a denial of FAPE, and if so, for how long after the signing of the agreement would that bar continue to exist. 11. On the plain face of the language, any denial of FAPE due to a failure by the District to find Student eligible did not “occur as a result” of the settlement. It occurred because of the District’s obligations under special education law and Student’s need for special education. However, the phrase is not without ambiguity. For example, the District could argue that the District’s adherence to the terms of the settlement agreement caused the District to forego its child find obligations in favor of the 504 plan. If that is the case, the violation might have “occurred” as a result of the settlement. 12. Because of this ambiguity, it is necessary to look to the remainder of the terms of the agreement to determine the intent of the parties. The language “as a result of this Agreement” is very narrow and limited in scope compared to the other waiver language in the agreement. By contrast, the language in the agreement which waives claims incurred prior to the date of the settlement agreement is broad and unequivocal. There is no doubt in the language that all claims prior to July 28, 2008, are waived. There is nothing in the language regarding waiver of past claims that limits the waiver to claims occurring as a result of the agreement. 13. Even the language regarding waiver of compensatory education is broader than the language at issue. The waiver of claims for compensatory education waived any claim through the end of the 2008 – 2009 school year. Compared to that language the “as a result of this Agreement” language is far more limited. 14. Because of the limited language, it does not appear that the parties intended the waiver to affect all substantive or procedural denials of FAPE that Student might raise for the entire school year. If they had intended that, they would have stated that, just as they did for compensatory education or past claims. On the other hand, it does appear that the parties intended to give the District a chance to try the 504 plan interventions with Student without a later claim by Student that the attempt to do so was improper. 15. Based on this interpretation, the terms of the settlement agreement bar Student from raising any claims regarding child find/eligibility up to and including the date that the 504 plan went into effect in September 2008. It also appears that the parties intended to allow a reasonable time to see if the 504 plan would be effective. It was only after it became apparent that the 504 plan was not sufficient to meet Student’s needs that the District’s obligation to take further action “occurred.” That was a separate duty on the part of the District that was not affected by the settlement language. 16. In summary, the intent of the parties in settling the case was to bar any claims for procedural or substantive denial of FAPE at least through the formation of the 504 plan and for a reasonable time after that plan went into effect. As discussed in Factual Finding 32 above, the plan was not successful. The critical issue, therefore, is at what point the District had sufficient information to conclude that the 504 plan was not successful and that further interventions were necessary. The District Should Have Found Student Eligible by 60 days After January 22, 2009. 17. In Student’s written closing argument, Student suggests that the District had notice by January 22, 2009, when the District sent notice of the SARB Board meeting, that the 504 plan was unsuccessful. At that point, the District should have begun the process of reevaluating Student. Given time for the reevaluation, the District’s obligation to find Student eligible for special education arose 60 days after January 22, 2009 (on March 23, 2009). Student’s position is well taken. As discussed in Factual Finding 32, above, the District staff admitted at hearing that the 504 plan did not work. At least by the time the District noticed the SARB Board meeting in January 2009, the District should have realized that further interventions were necessary. As discussed in factual Findings 4, 19 – 20, and 29 – 36 above, the District staff knew that general education interventions had been tried without success and that a 504 plan had been tried without success. The District had opinions from both Cortez and Passaro recommending special education. District should have taken steps to reevaluate Student regarding eligibility for special education. 18. The District contends that it provided sufficient interventions and that nothing more would be done under an IEP that had not already been done under the 504 plan. That position is incorrect. Neither the general education interventions nor the 504 plan had the type of oversight of the IEP process. As stated above in Factual Finding 33, it is unclear what type of oversight occurred under the 504 plan, but it was not as comprehensive as the oversight required under special education law. For example, if Student had the protections of the IEP process, the District would have been required to hold an IEP meeting to discuss Student’s lack of progress before changing Student’s placement from a comprehensive high school campus to Creekside. Likewise, the IEP team could have discussed other alternatives for Student, such as the behavior support plan suggested by Passaro. 19. As discussed in Factual Findings 42 – 51 above, Student met the statutory and regulatory criteria for special education under the category of OHI. While it was appropriate for the District to settle the prior case and attempt a 504 plan, by January 22, 2009, it was apparent to the District staff that the 504 plan was not sufficient to meet Student’s needs. The District should have reevaluated Student, held an IEP meeting, and found Student eligible for special education. The District’s failure to do so denied Student a FAPE. The terms of the settlement agreement of July 28, 2008, do not bar a finding in this regard. Student is eligible for special education and related services under the eligibility category of “other health impairment.” The District denied Student a FAPE by failing to find Student eligible for special education and related services by March 23, 2009. Pursuant to Education Code section 56507, subdivision (d), the hearing decision must indicate the extent to which each party has prevailed on each issue heard and decided. In accordance with that section the following finding is made: Student prevailed on the sole issue heard and decided in the bifurcated portion of this case. 7 A telephonic trial setting conference will be noticed after the issuance of this Decision to discuss dates for the second part of this case.